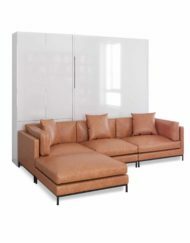 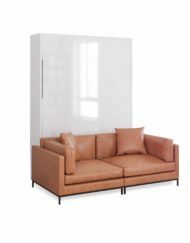 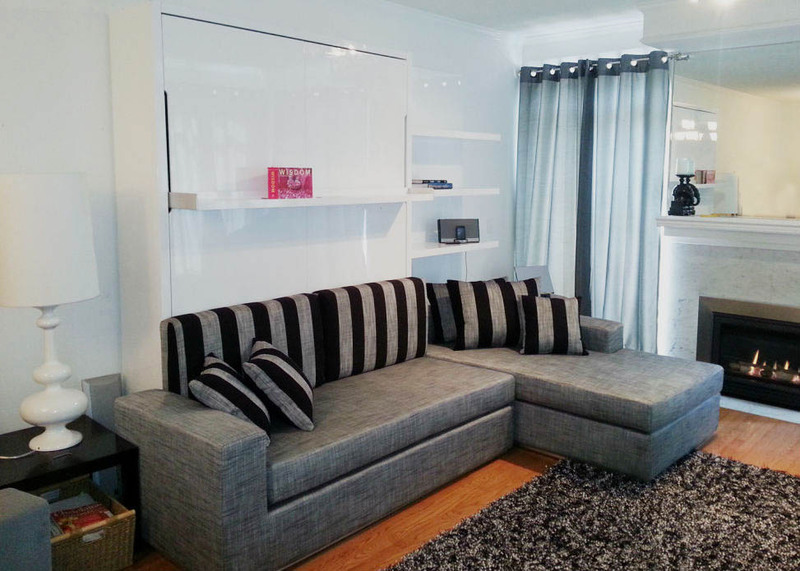 MurphySofa sectional wall bed sold online by ExpandFurniture. 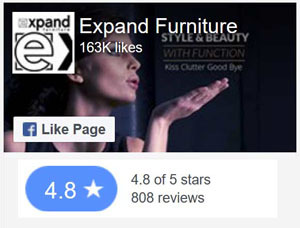 Click on the video tab below to watch a demonstration. 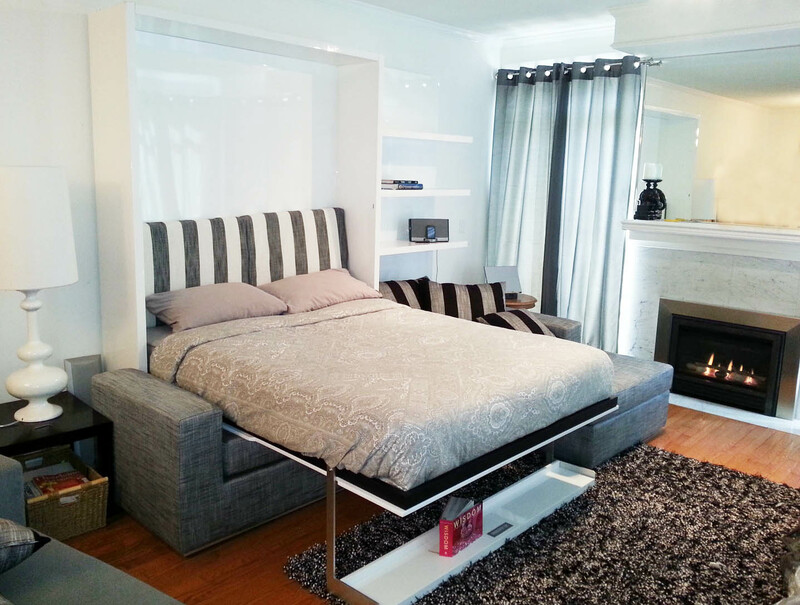 This modern wall bed has a distinct and stylish design. 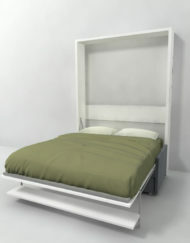 Weighted piston mechanisms hold the bed in place. 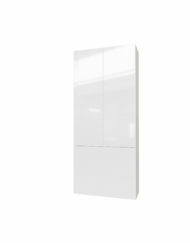 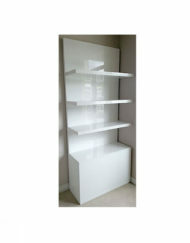 These do not require re-adjusting over time like typical wall beds. 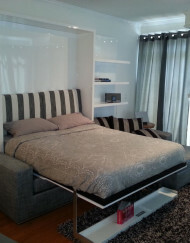 The grey sectional couch can stay in place while the wall bed folds over the sofa. 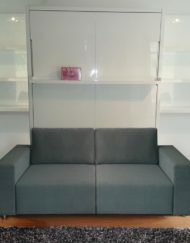 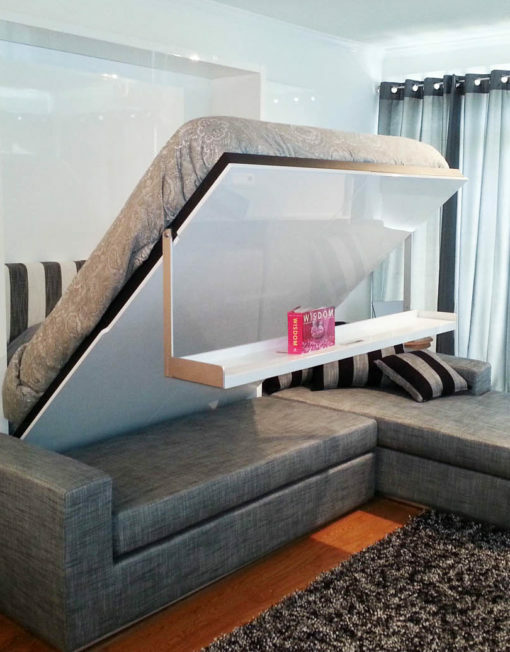 Pillows and other goods can be stored inside the hidden sofa storage. 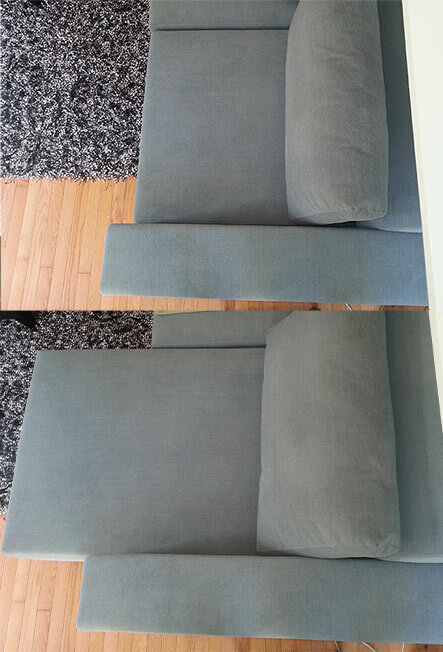 Higher folding height in all MurphySofas, similar to a normal bed height. 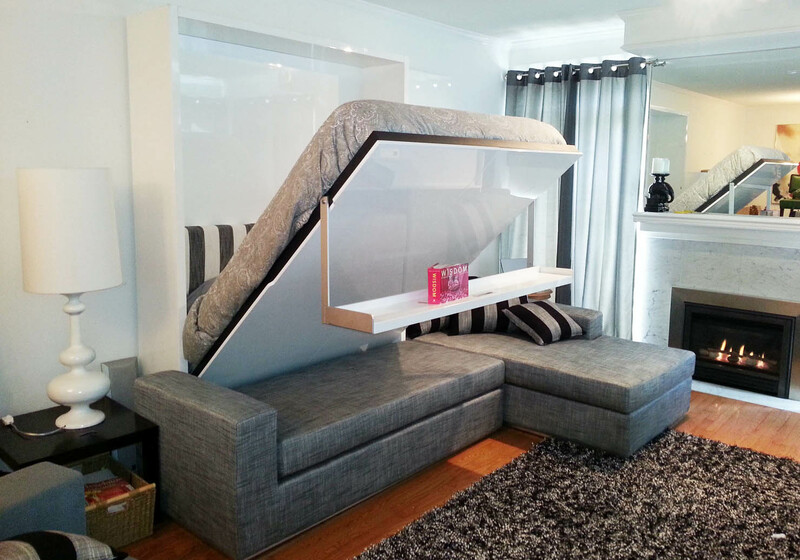 Convert your living room into a bedroom for guests in under a minute. 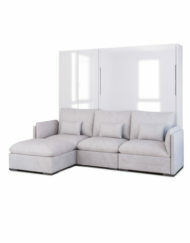 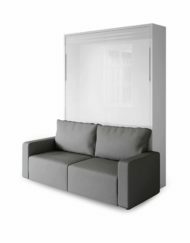 We also carry custom murphy bed sectional couches. 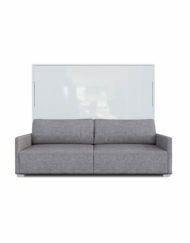 As well as a more compact MurphySofa. 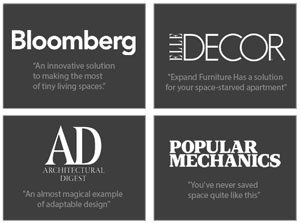 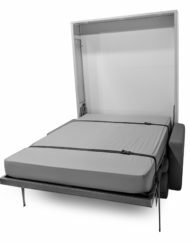 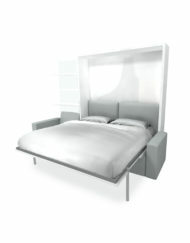 The most luxurious in style and functionality of all of the wall beds. 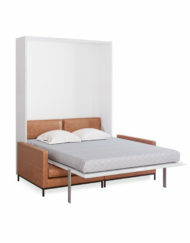 “Trasformare” can only describe this exceptional wall bed system. 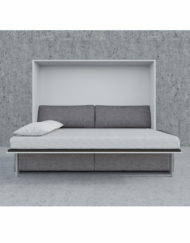 Optional three seat sofa with sectional chaise that slides in and out, or larger fixed chaise as shown in current photos. 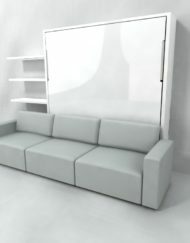 Floating shelf which hides the spacing-saving wall bed sofa and stays horizontal at any position of movement. 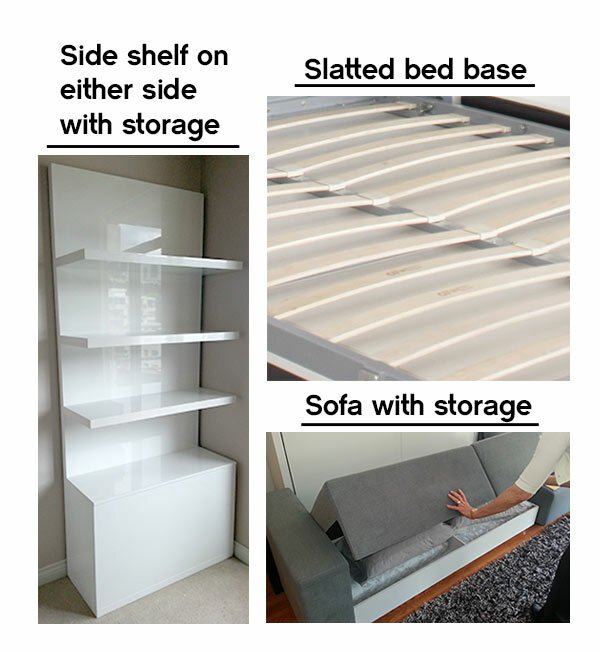 Built in storage in the sofa as well as a box storage built into the side shelving along with three shelves. 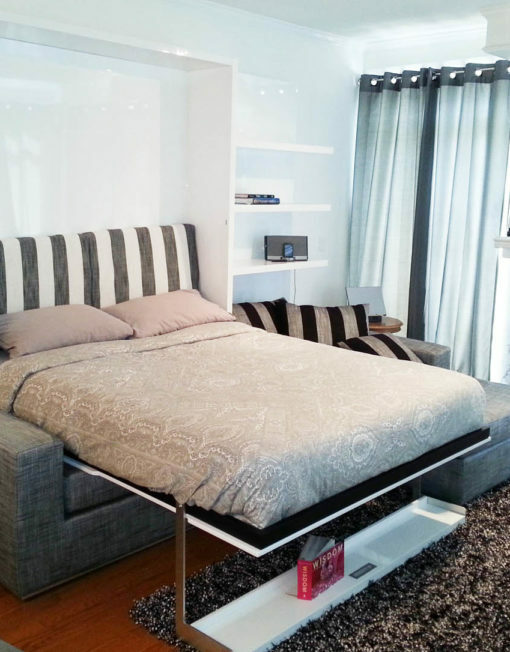 Wall bed color and fabric can be customized upon request at no additional cost. 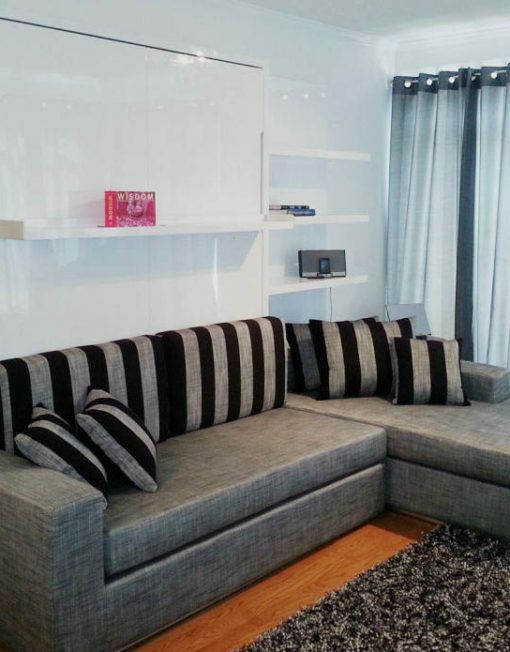 *Sofa comes with 3 matching back cushions, additional black/grey striped cushions not included. 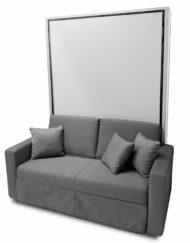 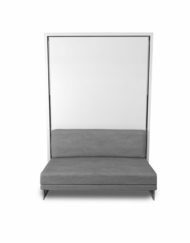 Chaise can go either side, fixed (larger) or adjustable(smaller). 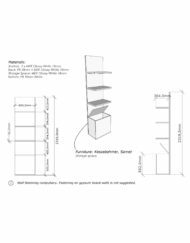 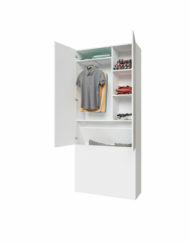 Shelving is 100cm wide with storage box. 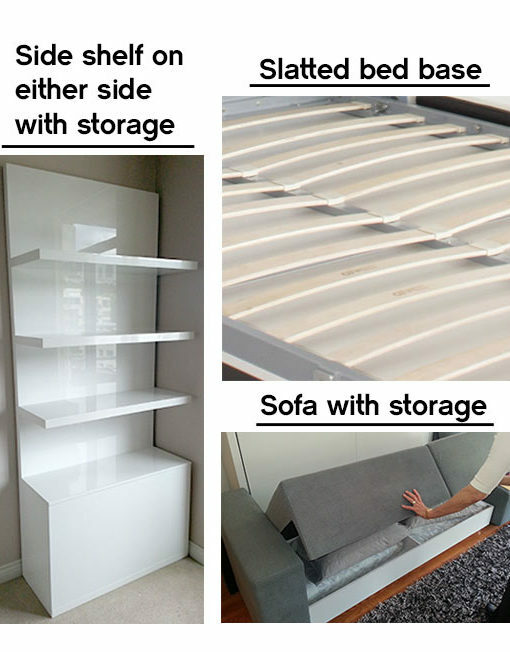 Sofas fabrics in the product photos are not the same as the options below. 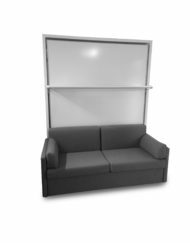 Shop Online for Sectional Wall Bed Couches.